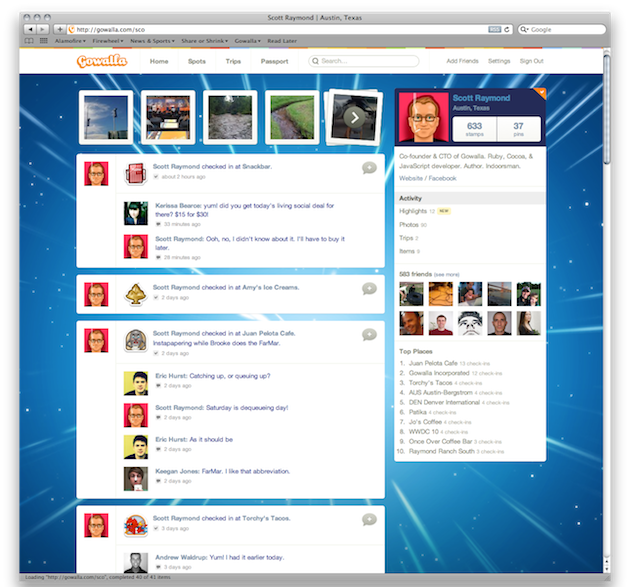 While rival Foursquare seems firmly focused on the business side of things, Gowalla continues to focus on building a beautiful product. The next step in that comes on Wednesday when the service will unveil a way to make customized Passports. 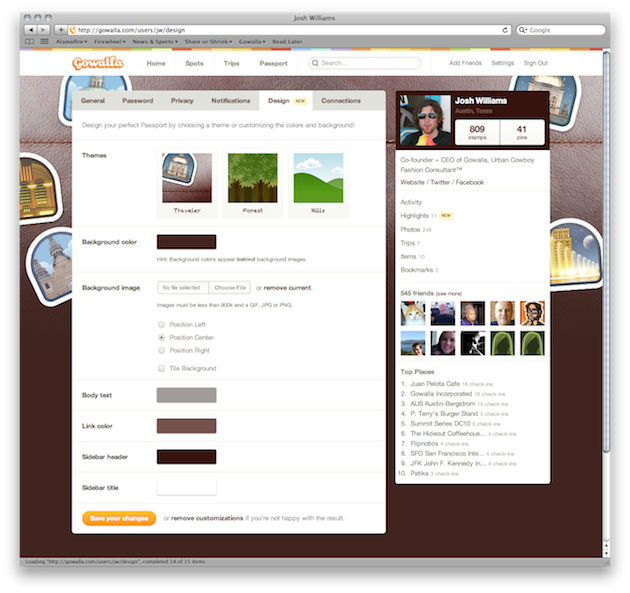 Your Gowalla Passport is essentially your profile page, but Gowalla organizes it in a way to highlight some of the core features that help them differentiate themselves — namely: pictures, comments, stamps, and pins. Beginning on Wednesday, you’ll be able to completely customize the design of this area. 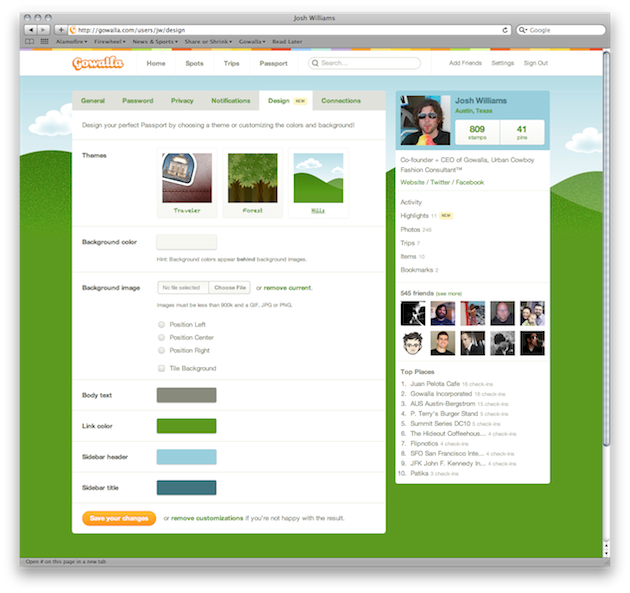 Gowalla will provide you with a few themes designed by their team (a heavily design-focused team), or you can build your own. Previously, these custom passports were only available as a premium feature viven to select partners such as LIVESTRONG, CNNMoney, and USA TODAY. I’m told these will be unveiled on Wednesday (but it may take a couple of weeks for them to fully roll out the feature) alongside another announcement the service will be making — though no word on what that is. “This is part of a series of features we’ll be rolling out in the next couple of months to allow people and brands a greater level of personalization for their passport and spot places,” co-founder Josh Williams says. As you can see in the screenshots, there also appears to be a new area of the service called “Highlights.” Williams won’t say what that is, but says it won’t be coming Wednesday. This emphasis on beauty and customization continues Gowalla’s trend in recent months to play to its strengths in order to differentiate itself in the increasingly crowded location field.